The Northern VA Rental Trap: What You Need To Know — Now! Careful…Are you Caught in the — Rental Trap?! If you live in or are planning to move to the Northern VA area you may already know that there are many benefits to homeownership. One of the fantastic benefits is being able to protect yourself from rapidly rising rents by securing your housing cost during the life of your mortgage with a fixed rate mortgage, just imagine — no rent increases. This is very true right now; in the Northern VA and surrounding areas the cost of renting a similar property now exceeds the cost of owning – even before the added tax breaks of home ownership are deducted. A recent Fannie Mae survey indicates that the majority – 78% of consumers believe that a higher down payment is required than is actually needed. They mistakenly believe that a down payment of 10%-20% is the minimum amount required. In fact in Northern VA a mortgage down payment of 0%, 1%, 3% and 5% options all exist depending on individual circumstances. In fact, for home buyers in Northern VA you don’t even need 3% for a down payment when you buy a house. There are options of both ZERO Down Payment as well as 1% Down when you are buying a home. When you are ready to find out what you need to do to buy a home the first stop should be an experienced local real estate agent, not a mortgage lender. Here’s why: real estate agents often work with a wide variety of lenders because different lenders will frequently have access to different loans. By selecting the real estate agent you want to work with first, the real estate agent will be able to help you select the lender that has the best loan options available for you rather than just the best option at a particular lender. 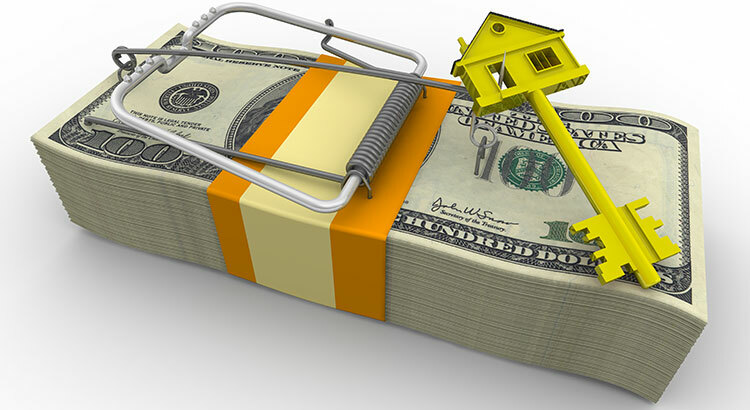 Don’t let yourself be caught in the trap so many renters particularly in Northern Virginia are currently in. If you are ready and willing to buy a home, find out if you are able. You will most likely be pleasantly surprised and will either learn you can buy now if you want to or that you are much closer than you thought you were. Let’s get together to determine if you can qualify for a mortgage now! Have questions? Need some help? Ready to get started? Call or contact me today for a free no obligation evaluation of your personal situation.